Snob appeal refers to the qualities or attributes of a product that might appeal to a consumer with "snobby" tastes. It may refer to the actual product itself or the exclusivity the consumer could potentially experience as a result of owning the product that is being advertised. The purpose of snob appeal is to persuade a consumer to purchase a product or service by convincing him or her that the purchase will elevate their status. By appealing to individuals' desires to be among the elite, advertisers attempt to sell their products. Cigarette ads with big and tough guys smoking cigarettes makes it seem that the consumer, too, could be amongst the elite hearty men who smoke cigarettes. Commercials that show men drinking a certain brand of beer attracting all of the beautiful women in a bar gives the underlying message that drinking that beer will make the consumer more attractive to women. A food commercial that highlights parents who are "Number One" that purchase a certain food product implies that the consumer will also be a top notch parent if he or she purchases the product. A perfume advertisement that features a woman dressed in fancy clothes and very expensive jewelry appeals to the "inner snob" by implying that a woman who wears that perfume will be equally as exquisite in appearance. A commercial for cat food that shows a cat eating a certain brand of food in a posh house with a fancy pet dish makes the consumer feel she is treating her cat the best she possibly can by purchasing that food. 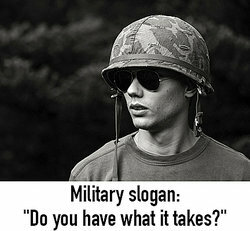 A military slogan that says, "Do you have what it takes?" is appealing to snob appeal by trying to recruit members implying that they are an elite group that has characteristics that others do not possess. When a company is attempting to sell its services over competitors' services and states "You don't want to deal with those OTHER companies…" it is attempting to elevate its own image to be more appealing as an elite company. A wireless phone company shows commercials of people waiting in lines to get their phones and the images of those who have the phones are of well-dressed and popular people. The phone company is making it seem extremely desirable to be a part of the group of people who are are elite enough to own that phone. A linen company features their products in an advertisement in a posh and fancy home implying that those who purchase their linens are amongst the elite. Featuring a popular celebrity in a commercial in which she states she would never use another brand makes the product seem more appealing to the consumer. A commercial for big screen televisions shows a large group of people watching the Superbowl and having fun, stating that "everyone will want to be at your house" implies that the purchase of the television will make the consumer popular and part of an elite group. Now you have seen lots of examples of snob appeal. "Examples of Snob Appeal." YourDictionary, n.d. Web. 23 April 2019. <https://examples.yourdictionary.com/examples-of-snob-appeal.html>.